Le Crystal restaurant is in Agdal area. Mediterranean cuisine. “Behind the walls , into Pacha Marrakech, between the garden and the pool, is a haven of peace which combines refined architecture and subdued lighting. 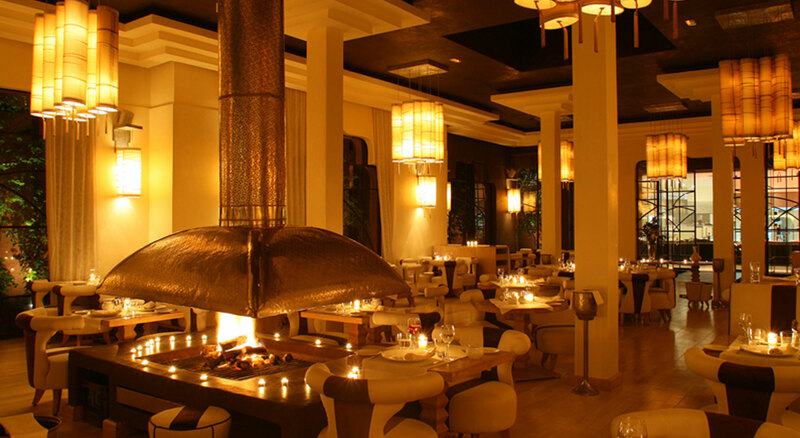 You will be escorted to your table to savor Mediterranean cuisine and creative talent signed by the Pourcel brothers. The voices exceptional singers will accompany you throughout your dinner. The Crystal is changing with the fashions and trends. To put you once again the mouth water … Between musical brunch, international singers during your breakfasts, a special Ladies Day every Thursday. Crystal Pool has not finished to make you enjoy the sun and water, summer and winter … So why not forget qu’allier pleasure with pleasure can only be a pleasure. Riad Aguaviva team think it’s an interesting restaurant to diner before entering PACHA DISCO. Especially recommended for young people. The atmosphere is trendy. Its cuisine is excellent. Their prices are not cheap.